Getting rid of stretch marks is an absolute pain. They’re bright, usually pop up in places that kill the enjoyment of heading to the beach or pool, and they can take a while to remove. There are, however, plenty of stretch mark treatments that are highly effective and work relatively quickly to end your misery. Today, we’re going to take a look at the different ways you can go about fading stretch marks on your breasts, buttocks, stomach, thighs, and other areas of the body. Keep in mind, though, that results vary from person to person and case to case based on the severity, age, and depth of developed stretch marks. The treatment methods below can be administered in a number of different ways, too. Some require medical professionals in a more hospital-like setting, while others can be performed by trained technicians at a medical spa. Some treatments, such as creams and laser, can even be done by the patient in their own home with the right products and equipment. All that said, let’s jump straight into the stretch mark removal treatments guide. Stretch marks are often so annoying and so damaging to a person’s self-esteem that they’re willing to undergo surgery in order to have them removed. Before deciding whether stretch mark removal surgery is the best option, it’s important to fully assess the potential risks, cost, and side effects as well as researching other treatment options. On a trip to the pharmacy or health and beauty section of your favorite store, you can find any number of creams that promise to remove stretch marks. Most of those contain ingredients like cocoa butter, Shea butter, and vitamin E. While these are all great for the skin, their ability to remove stretch marks isn’t that great. To actually remove stretch marks, creams need ingredients that work on a cellular level. For instance, Skinception Stretch Mark Removal Therapy contains Pro-Sveltyl, which features enzymes that help tighten and smooth the skin. It also contains Darutoside, which is proven to reduce the length of stretch marks by 56% in just 4 weeks, and reduce indentation by 55% in the same amount of time. When selecting a stretch mark removal cream, it’s important to completely assess the ingredients. Another important thing individuals should look at is whether or not the cream has been tested with clinical trials. These trials help developers see whether the cream is actually removing stretch marks or if it’s just another cream that is good for the skin. The majority of stretch mark creams on the market haven’t been clinically tried for their ability to remove the stretch marks. While these creams may be healthy and may help to hydrate the skin, they’re not likely to actually remove the stretch marks. 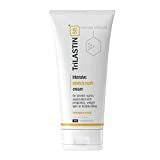 Skinception has been clinically tried and proven to reduce the appearance of stretch marks, smooth the skin, and reduce redness associated with stretch marks, so has TriLastin-SR. It is possible to find stretch mark removal cream that works as good as surgery or laser treatments, without the cost and without the recovery time. The key to making it work is finding a cream that has proven results, and combining it with exercise. Exercise tightens and tones the muscle, while helping to tighten the skin as well. The cream reduces the appearance of stretch marks and smoothes the skin. Creating an exercise and stretch mark removal cream treatment plan can be as effective as surgery or laser treatments, but thousands of dollars cheaper. In fact, laser treatments can cost up to $5,000 whereas stretch mark cream is less than $100, and exercise is completely free. Perhaps the greatest thing about using stretch mark removal cream is that there are no side effects. With laser treatments and surgery, there are side effects such as scarring, redness, irritation, or discoloration of skin. In some cases, bruising, blistering, and pain can be present after laser treatments as well. When individuals use stretch mark removal cream, none of these side effects will be present after treatment. Stretch mark cream is typically applied twice each day, and can also be used to prevent stretch marks during pregnancy, whereas lasers and surgery cannot. Individuals who want to get rid of their stretch marks without surgery or laser treatments may wonder whether exercises will work to minimize or reduce their appearance. Because stretch marks are actual scars on the skin, exercise will do little by itself to remove them. However, in combination with other techniques, exercise can be very effective at helping the skin and affected areas look better. Often, during pregnancy or weight loss/gain, the muscles in the abdominal area become weak. Certain exercises can help strengthen the muscles, flattening the area and helping to reduce the severity of the stretch marks. When used in combination with a clinically proven stretch mark removal cream, tightening the muscles can be very effective. The best kinds of exercises for this include crunches and sit-ups. These help retrain the muscles and make them stronger so the skin isn’t bearing the weight of lax muscles. Cardio exercises will help with stretch marks in a number of ways. Cardio exercises help keep the body healthy, and increases blood flow to all areas of the body. Cardio exercises include jogging, running, jumping rope, and similar exercises that increase heart rate and blood flow. This, in turn, helps the body heal stretch marks on a cellular level. When combined with stretch mark removal cream, maximum results can be achieved. The key is to search for a stretch mark removal cream that is clinically proven to reduce the length, irregularity, redness, and overall appearance of stretch marks. There are a few other great stretch mark removal exercises that can be used in combination with stretch mark removal cream. Lie on the floor with your legs together, and lift your heels above the ground about 6 inches. You should feel the burn in your abdominal area, which means that it’s working to tighten the muscles and tone the muscles. For another method, start in the hands and knees position. Extend one leg behind you so that it’s parallel with the floor and hold the position for 10 seconds. Repeat the process 10 times and then switch legs and start over again. These can be done 3 times a week for maximum results. The most important way for individuals to use exercise to reduce stretch marks is to combine a high quality, clinically proven cream with exercise to get best results. It’s important to find a cream that contains ingredients which actually work to reduce the appearance of stretch marks. Look for clinical trials to back up the claims, and study the results of those clinical trials before making a decision. Overall, it’s important to use stretch mark removal exercise in combination with other types of treatment to achieve the best results. Stretch mark removal cream, cardio exercises, vitamins, and toning/tightening of the muscles is the best way to ensure that the stretch marks fade and leave a smooth, beautiful area of skin. Another option to get rid of pesky stretch marks is to utilize laser technologies. Laser stretch mark removal is fairly effective, but also pretty pricey. Most people will need multiple rounds of laser treatments to fully fade the marks. Each session can cost $100 or more depending on how large the area is and where you opt to have it done. We’ve already covered this method in our full laser stretch mark removal guide if you want more information on it. We won’t touch on it much here since we already have a page dedicated to it. Those who don’t want to go through the pain, side effects, and recovery time of surgery or laser treatments can benefit from helpful alternatives for their stretch marks. Stretch mark removal massage can be extremely helpful, especially when used in combination with other treatments. Exfoliation works to remove dead skin cells and accelerate the generation of new skin cells. Simply choose an exfoliation scrub and apply it to the affected area. Use small, circular motions to exfoliate and massage the area for as long as is comfortable for you. After the stretch mark removal massage, rinse off the exfoliation scrub and then apply a cream that is clinically proven to reduce the appearance of stretch marks. This process can be repeated with the exfoliation once a week, but the cream can be applied twice each day. Exfoliation should be done only once a week to avoid irritation and redness on the skin. There are a few different methods of stretch mark removal massage. For this one, it’s important to use the fingertips in a slight “kneading” fashion. You will notice that the stretch marks become pink or red. This is normal, even for older stretch marks, because the blood is flowing to the area, which is the desired action. Continue with this process for fifteen to twenty minutes. You can do this massage with the clinically proven stretch mark removal cream, or alone. If you do it without the cream, apply the cream directly after while the blood is still flowing to the area and the skin is stimulated. Without any type of clinically proven cream, stretch mark massage removal will work. However, it will take a significant amount of time for the results to show. Continuous massaging will reveal gradual results, and a large difference in 1 to 2 years. It is beneficial for the skin and increases blood flow to the affected area, which helps with cell regeneration. Massage should be done each day, and can be done more than once a day in fifteen to twenty minute sessions. If you use a clinically proven stretch mark removal cream in combination with massage, results will show a great deal faster. In fact, in a clinical trial of Skinception, the active ingredient Darutoside was applied to individuals’ stretch marks twice a day for 4 weeks. At the end of the trial, the stretch marks’ length had been reduced by 52%, the surface smoothness was increased by 14%, indentation was reduced by 55%, and the length of irregularity was reduced by 52%. A cream of this caliber combined with stretch mark removal massage can work wonders on stretch marks, whether they’re on the stomach, legs, back, arms, or anywhere else. Overall, individuals shouldn’t neglect the benefits of stretch mark removal massage. Done daily, and used in combination with an effective stretch mark removal cream, massage can be very valuable in the process of removing stretch marks. NextIlluminatural 6i Review – Is it REALLY an Effective Skin Lightener?